When I wash my hair it goes through a process. First shampoo, conditioner, deep conditioner, leave in conditioner, then my styling products. Yes this all sounds like a chore, but for me to get soft manageable hair I must follow these steps. With my hair being naturally dry, I must deep conditioner my hair to bring in moisture. I use a moisturizing deep conditioner along with a electrical heating cap to help me achieve a much deeper conditioning. Lately I've been tired of using my electrical heating cap because I feel too tied down to it. I have a busy life and just sitting down with a plug in electrical heating cap on my head just waste my time that I could be doing something else around the house. So what I've been doing is putting on a plastic cap so I can walk around, but doing this doesn't help deeply condition my hair. I'm happy that the makers of Hot Head Conditioning caps contacted me to review their cap for free (they must've been reading my mind). Sunday is wash day for my hair so I did my normal routine but included Hot Head's Deep Conditioning Cap. Make sure hair is fully towel dried before you add the deep conditioner to prevent dripping. Remove plastic cap and heating cap and rinse hair like normal after hair has cooled down a bit. The cap kind of reminds me of a warm towel on my head but it does gets the job done deep conditioning my hair. The cap is a tad bit on the heavy side but not bothersome. My hair was so soft and moist that it felt like I got my hair done at a salon! I had a much better time detangling my hair and styling it. I also like how cute these caps are. Comes in a variety of stylish looks. Check out all the different styles. They're very easy to clean by just spot cleaning with a white cloth, warm water and mild detergent. I didn't get any conditioner on my cap so I can tell I'll rarely have to clean it. Is Hot Heads Deep Conditioning Caps Worth a Try? If you're tired of being stuck in one place deep conditioning your hair, you'll really enjoy Hot Heads caps. Also, even though I have short hair, it works well for people with long hair too. Just need to twist at crown and then use a plastic clip to secure it. For those who have not won the contest but is interested in purchasing a Hot Heads Cap, I have a coupon code REVIEWMOM to get 10% off your purchase. Disclosure- I received this product free to give my honest opinions. I was not compensated for my review. My hair washing routine...I can't even lie...I'm not particular about my shampoo or conditioner. Until not too long ago I was using Suave 0_o The only thing I won't use is a combo shampoo/conditioner. One is going to suffer. I wash every week, sometimes more in the summer. I'm not big on co-washes, either. I don't see the point. Either do a full wash or just mist with something conditioning. Yeah I'll never use the combo of shampoo and conditioner either. When it comes to shampoo and conditioner for me I must have sulfate free. I'm like you, I'm not really a co-washer and wash more in the summer months. My husband loves a shampoo/conditioner, but it has to be Avon (for some reason, I used to be a Rep.) I only wash my hair every other day, as I now color my hair and it gets too dry and my color washes out. These caps look really cool and great for dry hair! I can't wash my hair every other day, it would dry it out. So I dedicate usually Sunday as my wash day. I co-wash most of the time. When I do use a shampoo, I choose a clarifying one and follow up with a deep conditioner for about an hour. The products are always changing because I'm a bit of a product junkie. I'm a product junkie too! I'm really trying to break the habit, lol! I love deep conditioning my hair it's my favorite part of the wash process and I try ad use my steamer often to get added benefits but I HATE having to sit in one spot or put ti together... This would do me GREAT justice!! I always wanted to use a hair steamer but never got around to buy one. I heard good things about them. My washing routine consists of using my mudwash to cleanse my hair and scalp every other week and I just started deep conditioning every week. In between washing with my mudwash, I will cowash with Aussie moist and seal in the moisture with the LOC method right after. I can say that I try to deep conditioner on dry hair because my hair seems to take in more that way and is left softer than doing it on clean damp hair. I may need to deep condition my hair when it's dry. Thanks for sharing that tip! My hair washing routine is fairly simple. I start with a pre-poo of coconut oil; I then detangle with Soultanicals Knot Sauce. If it's a shampoo week, I wash my hair with a shampoo bar from Sister's Keeper. 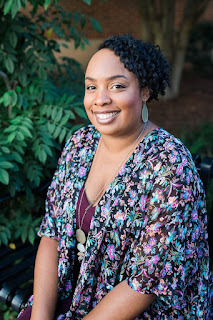 On alternate weeks, I cowash with Shea Moisture. After I wash, I apply my deep conditioner mixed with a little honey and almond oil. I leave it on for about an hour, then I rinse and proceed to moisturize and style. I like your hair was routine. I never heard of Soultanicals Knot Sauce before. I always pre-poo with an oil. I then add a conditioner to detangIe. I wash, deep condition, condition then style. I need to start adding oil before I shampoo. Great idea! My wash day consist of shampooing, then followed by oil rinsing, wash my oils out with tresmee natural (old formula), deep conditioner, leave in, oil, let air dry for about 2 hours and style with styler of choice. I like their old formula too. Thanks ladies for sharing your hair washing routines! I need to add some of it in mines. Yeah always do and use what's works for you. My wash routine i started out washing once a week, typical 4 sections, deep condition with whatever im trying out that week, then detangle, sometimes with a denman if its bad. but NOW lol im playing around with my washing. Ive just taken down my protective style i kept for 2 1/2 months. So i dry detangled, then re-twisted the sections after taking the extensions out. Going to wash my hair while its in these mini twist, DC with my steamer for an hr, semi air dry then do the LOC method. I haven't found my holy grails yet so i get to play in some products i have, can't decided whether it'll be My Honey Child, or Karen's Body Beautiful. Gonna see if i can make wash day every 2 weeks now. I always wanted to try My Honey Child. I would most definitely recommend you try it. I ordered during her black Friday sale, her prices are a little much, but now that I've tried them its worth it. The Olive You Scalp cleanser is awesome my hair didn't feel stripped at all and i did 2 washes. I think that's what turned me away were the prices. I hate to buy something that's expensive and then end up hating it! Me too! That's why i almost always wait for big or decent sales. OR I go to my swap group and ask ladies i know and trust. I wash and condition, then once a week or so I'll deep condition. This sounds like a great way to really seal in the moisture. Congrats, Natasha :-) And thanks for the coupon code, Louida. I think I might try one out. You're welcome! If you try it out let me know what you think. I don't deep condition my hair as much as I need to lately due to my busy schedule. I follow the directions to the T so it didn't burn my scalp at all. Now if you warm it up longer than instructed then it would burn you. My hair type doesn't need this, but how neat for you! I wouldn't be able to be sitting either--unless I was blogging at the same time! LOL I blogged while having this on my head before! I might definitely invest in one of these. 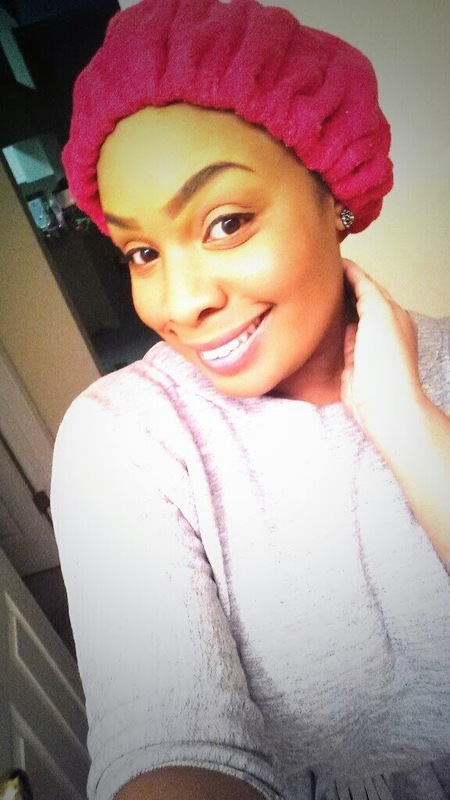 Right now I usually heat a towel up in the dryer to wrap around my shower cap to deep condition. It'll be nice to have an actual cap instead of a bulky towel.